This is the first CBSE board examination after the board scrapped the Continuous and Comprehensive Evaluation that had been widely criticised for its system of optional tests and automatic promotion. CBSE has released the datesheet for Class 10 and Class 12 board examinations. 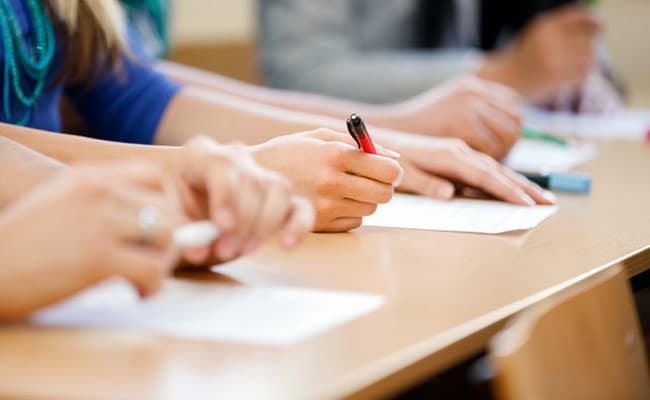 NEW DELHI: The CBSE's Class 10 and Class 12 examinations will start on March 5, a just a few days after Holi festival, according the examination date sheet released by the Central Board of Secondary Education late on Wednesday evening. Holi is on March 2. The Class 10 board examinations had earlier been discontinued in 2009. According to the exam date-sheet, the Class 10 exam will end on 4 April but most students will be able to wrap up the exams by March end. In case of Class 12 students, the exam will continue till 12 April. CBSE had earlier announced that the Class 10 and Class 12 exams would be held in March but had not specified the exact dates. About 19,300 schools in India and 211 schools in 25 countries are affiliated to the CBSE. These include 1,118 central schools, 2,734 government or aided schools, 14,860 independent schools and 590 Jawahar Navodaya Vidyalayas, the residential schools funded by the central government.